According to a report by Axios, there are many industries in the United States that are having a tough time filling critical employment roles, such as construction workers, farmers, truck drivers and first responders. Despite good pay and benefits, there is a giant black hole in these industries, with extreme job vacancies. Well-educated millennials are apparently averse to physically and mentally demanding roles and are seeking employment opportunities elsewhere. In the Axios report, they state that in 2018 there are more job vacancies than there are unemployed workers, and the trucking industry in particular is especially impacted with a current shortage of 51,000 drivers – a number that is estimated to double within less than 5 years. With more and more baby boomers reaching the age of retirement, they are leaving behind long-held trucking positions. Younger job seekers are not overly keen on taking these trucking positions based on the long and solitary hours spent driving across country in a truck cab. According to the American Trucking Association, high volume freight companies such as Walmart and Amazon can’t keep up with the demand for truck drivers to successfully transport America’s consumeristic appetite, which is driving up the cost of goods and services and even delaying delivery times. 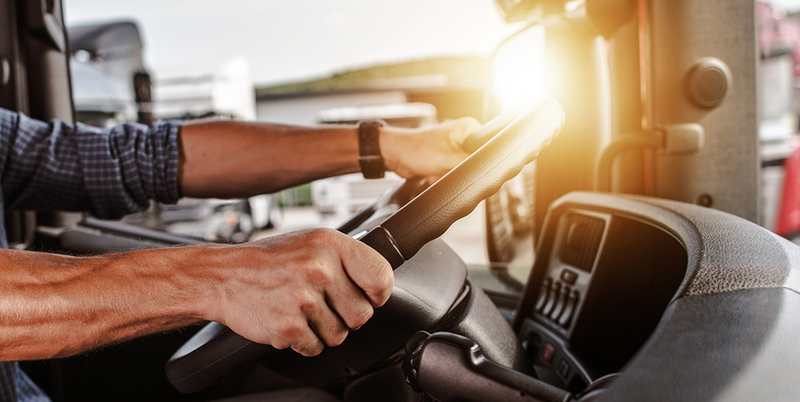 Out of their desperation to maintain a solid fleet of qualified drivers, companies are now beginning to offer pay raises and signing bonuses, plus extensive training. In some cases, salaries for drivers are increasing 10-15% as an incentive to attract viable prospects and can reach to upwards of $80,000 a year. From interviews with veteran truck drivers a pattern of why millennials weren’t jumping at these job opportunities began to emerge. Put simply, driving trucks long distances isn’t easy work. It’s hard on the body, hard on the mind and can be hard on relationships. Lack of movement while sitting for hours on end, combined with long periods of time away from home and family, as well as less than healthy diets on the road contribute to it being a rough occupation. It can be lonely, and it can be hard on families with kids. Promises of high salaries and bonuses don’t always pan out according to long-time drivers. Entry-level doesn’t always bring what has been promised, although skilled drivers who have been in the business for a long period of time carry a high price tag. Truck drivers interested in making good money usually take the long-haul routes – coast to coast and border to border. One trucker described life on the road as “drive, sleep, repeat.” Another common theme among drivers is the lack of respect they receive from other drivers and law enforcement. For a particular type of person, life on the open road can be ideal, and one of the greatest draws is the fact that entry-level truck driving pays well for not requiring extensive education or training. High demand for skilled truckers makes it a buyers market, with drivers often being solicited for higher pay and benefits by competing trucking outfits. With the country’s current consumeristic needs, trucking is essential for the inner workings of our economy and lifestyles. With the massive truck driver shortage, how will these shipping needs be met? Many are hanging their hopes on the continued development of driverless trucking and some tout the importance of further rail line and air freight development. The truck driver shortage has been recognized as a legitimate economical situation, so it will be interesting to see how the industry and society adjusts to this specific employment phenomenon.